Thank you to everyone for your generous contributions. Our project has now closed. It has been demonstrated that diverse teams with an equal gender balance are more efficient, take more risks and solve problems more effectively. Humanity needs all the creativity, brain power and problem solving ability we can muster if we are to solve the problems the world faces. It is therefore critical that women take an equal place at the highest levels of leadership, particularly in science. 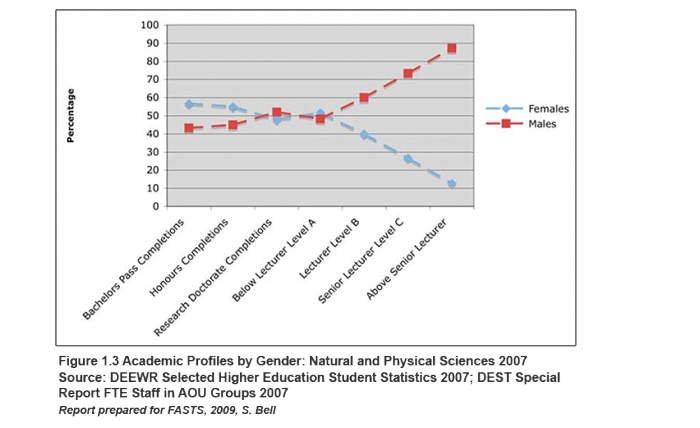 However, while approximately equivalent numbers of women and men start careers in science, by the time careers progress to professorial level there is profound gender inequality, with women making up only 10% of top level scientists. Homeward Bound is a world-class leadership and strategy program for women scientists that will build a global collaboration and empower women to redress the gender imbalance. This world-first initiative is the start of a 10 year outreach to build a 1,000 strong global collaboration of women in science. 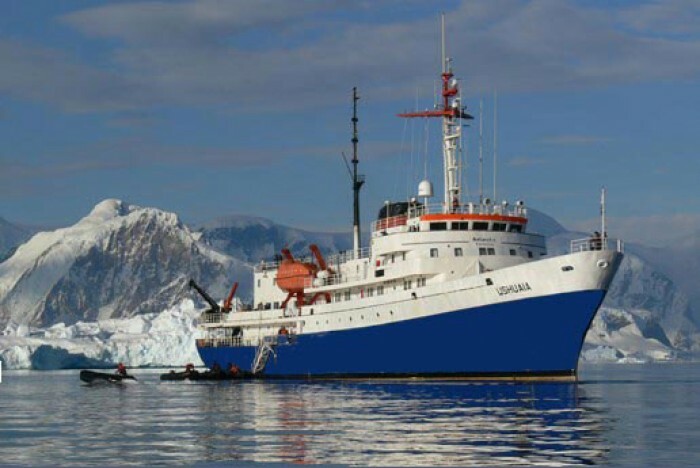 The program is run as an expedition to Antarctica, where climate change is used as an example as to how women can make a pronounced difference in the world today. The voyage will also form part of a documentary series exploring the role of women in our world – why are we stuck around the role of women in our world, would we have more of a legacy mindset if they were at the leadership table, and do incumbent leaders realise they need to make significant change for this to materialise? 78 women were chosen from around the globe to join the expedition and of these, we four women from The University of Western Australia were selected. PhD students Sandra Kerbler, who is studying the effect of cold stress on plants and Ghislaine Platell, who is studying native termite digestion for biofuel applications; early career researcher Dr Amanda Blythe, who is an x-ray crystallographer; and Associate Professor Melinda Fitzgerald who leads a team of researchers developing cures for neurotrauma. Our fields of research are important for helping to create a sustainable future for our planet. For example, cold stress kills hundreds of thousands of tonnes of food globally every year; X-ray crystallographers determine the 3D composition of proteins vital for the development of new technologies and the development of biofuels will aid in alternative energy production. Homeward Bound will help make a group of brilliant women into extraordinary leaders who will bring these skills back to WA to mentor the next generation of women leaders. Homeward Bound departs from Ushuaia on Argentina’s Tierra del Fuego archipelago, the southernmost tip of South America, nicknamed the ‘End of the World’ and the gateway to Antarctica, on 2 December 2016. This once in a lifetime experience will empower us to work together to reach and influence a broad cross-section of women scientists. Sandra and Ghislaine will be sources of inspiration to fellow female students, Amanda will use her widespread connections to spread strategies to early and mid-career women researchers as to how to stay in science and Melinda will be able to contribute to policy and initiatives to overcome the barriers to women progressing to the highest levels in science. Specifically, we are forming and developing women’s networks within our departments, facilitating mentoring programs designed to empower women at postgraduate student, early career researcher and more senior levels, to maintain their careers in science. Follow the links at the bottom of the page to see more of what we will do with your support. “Women are the backbone of the not-for-profit, disability and education sectors, they are emerging in all universities as significant percentages of graduates, they take up significant percentages or our workforce and they provide the most unpaid community work. They do most of the work in our homes, are more trustworthy with money and they excel at all but four of 16 well researched leadership capabilities. And they are in a profound minority in executive decision making roles which shape our future”…. renowned Australian leadership expert and coordinator of Homeward Bound, Fabian Dattner. Homeward Bound is the world’s first state-of-the-art leadership and strategic programme for women in science, set against the backdrop of Antarctica. This is the start of a 10 year outreach initiative to build a 1,000 strong global collaboration of women in science, who have had the same experience at sea together, focussing on the leadership and planning required to contribute to the recognition of our planet as home. The brainchild of renowned Australian leadership expert Fabian Dattner, and the product of a magic collaboration with Dr Jess Melbourne-Thomas from the Antarctic Climate and Ecosystems Cooperative Research Centre, Homeward Bound has selected 78 remarkable female leaders in science from around the world, including Canada, Australia, France, Germany, UK, US, Norway, New Zealand and South Africa, who will together work on a range of projects throughout 2016, culminating in a 20 day trip to Antarctica to cement the ideas into real time actionable plans. Among those participating will be a Namibian climate change ecologist, conservation biologist, sustainability strategist, policy advisor, mentor and environmental planner (Phoebe Barnard); Co-Director of the Alaskan program, Girls on Ice (Joanna Young); President of the New Zealand Association of Scientists (Nicola Garston); Dean of engineering and computer science ANU (Eleanor Huntington), and a lead nutritionist from Chester Zoo in the United Kingdom (Andrea Lindsey Fidgett). The Homeward Bound initiative has chosen to use Antarctica as a backdrop because being the fastest changing regions on our planet; it is the canary in the mine. 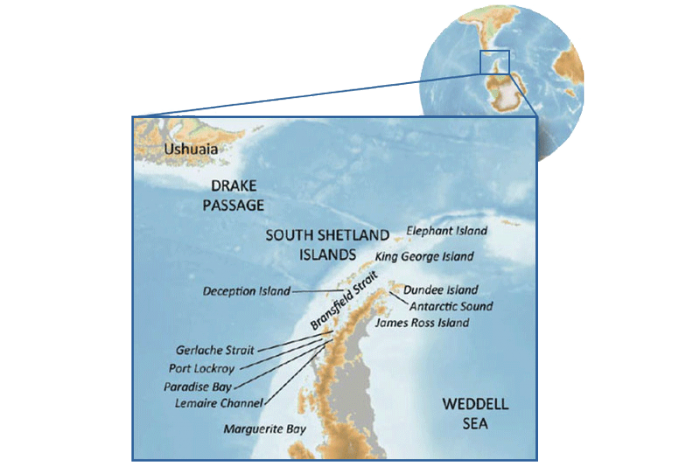 The study of Antarctica and the Southern Ocean, and their roles in the Earth and climate system, provides critical insights into global-scale change, and the influence of human activities on environmental change. Antarctica is iconic as a wild, beautiful and unique environment that has captured the imagination of many leaders in the past; the history of visiting and exploring Antarctica is defined by vision and by epic journeys. 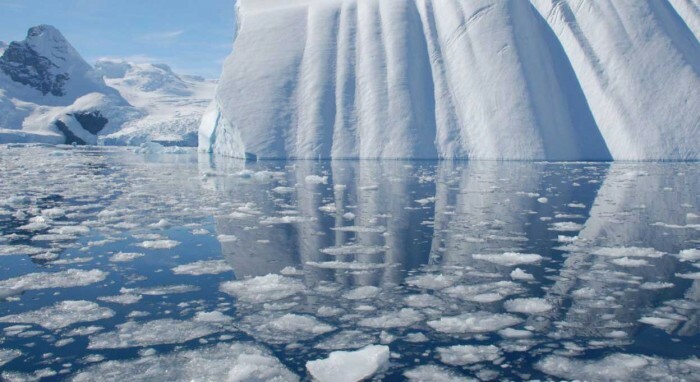 Antarctica is a sentinel for global change. The Antarctic voyage provides us the opportunity to be at sea for 21 days, and given 6 days of education on best leadership practice, 6 days of education on the challenges in polar science and related issues on climate change, and 6 days on world’s best practice in articulation, design, measurement and execution of strategy, including planning for change as a result of the trip. The expedition will be led by Greg Mortimer OAM, who has led more than 80 expeditions to the Antarctic. Globally recognised women of influence, including Dr Jane Goodall, Primatologist and environmental activist, Franny Armstrong, one of the world’s 100 most influential women, Sylvia Earle (famous marine ecologist and celebrated activist filmed by James Cameron in Mission Blue), will be filmed for the expedition, talking directly about their journey as women of influence. Dr Justine Shaw (University of Queensland), Dr Mary-Anne Lea (IMAS, University of Tasmania) and Dr Jess Melbourne-Thomas (Australian Antarctic Division) will coordinate and deliver a cutting edge science programme to participants incorporating the most up to date and relevant research about the state and functioning of our planet. Also on Board will be Dr Susan David, an internationally recognized thought leader operating at the nexus of business and psychology and a Harvard A-lister, Kit Jackson a globally recognised strategist based in the UK, together with Fabian Dattner and a team of scientific, leadership and strategic coaches. Twelve people in all, will deliver program content to change the lives of the women on board. The major aims of Homeward Bound are to elevate each participant’s leadership capabilities, to refine their skills to design and execute strategy, and devise plans for future collaborations as women working towards a sustainable future. The cost of the Homeward Bound program is US $40,000 per person, a significant proportion of which is covered by in kind contributions from partners in the program. However, we need to raise $25,000 AU each. Your contribution is an acknowledgement that this program is an opportunity to make a difference, to inspire future leaders in climate science and policy and improve the representation of women at the decision table for science and policy. Please support our campaign to be a part of the Homeward Bound Adventure. Donate to our team campaign from this page, or follow the links below to contribute to our personal campaigns. Please follow the links below to our individual pages. Or listen to the following podcast interview between Melinda Fitzgerald, Research Associate Professor, Animal Biology, UWA and Bob Maumill, Host of 6PR radio…. You will be sent an email confirmation and a name tag at the door will be your entry, no ticket is required. $100 A Webinar to share our experience with you! Link in to our webinar describing our journey and life changing experience on Homeward Bound. Ask questions and get our personal answers to you. $500 Let us visit and share our experience with you! One of us would love to come and present to your organisation about what we do and how we got to be a part of this amazing adventure if you are in Perth. You choose if it is before or after our journey. We will host you for a full ‘day in the life of a scientist’, showing you cutting edge technologies, state of the art experimental techniques and inviting you to join us in conducting experiments.